With our network of over 350 specialty pharmacy and home infusion providers, over 1,500 payers, and 55,000 retail pharmacies, we identify and implement optimal market access strategies. We specialize in design and implementation of innovative payer programs and product distribution support for specialty products. 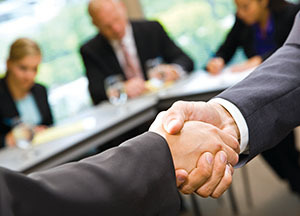 We conduct primary research through either telephone interviews or advisory board meetings. Our research with payers supports the development of market access and reimbursement strategies, and informs optimal product value positioning. Our payer account management staff provides outreach on behalf of our manufacturing clients in order to secure more favorable formulary position for its brands. Our managed care team provides national payer coverage for clients that do not maintain dedicated internal account management personnel. eMAX Health is leading the industry in the development and implementation of outcomes-based (or value-based) prescription drug rebate programs. By combining our health outcomes research practice with our patient access center, we are implementing real-world contracts with rebate provisions based on a continuous assessment of health outcomes. Download eMAX Health brochure for more information about our services.